Vintage Czech glass black/gold ‘pinecones’ and ‘waffles’ (4). Vintage matte black jet shapes (9). Vintage Czech glass facet beads w/ bronze caps (2). Vintage large white ‘crackle’ bead. 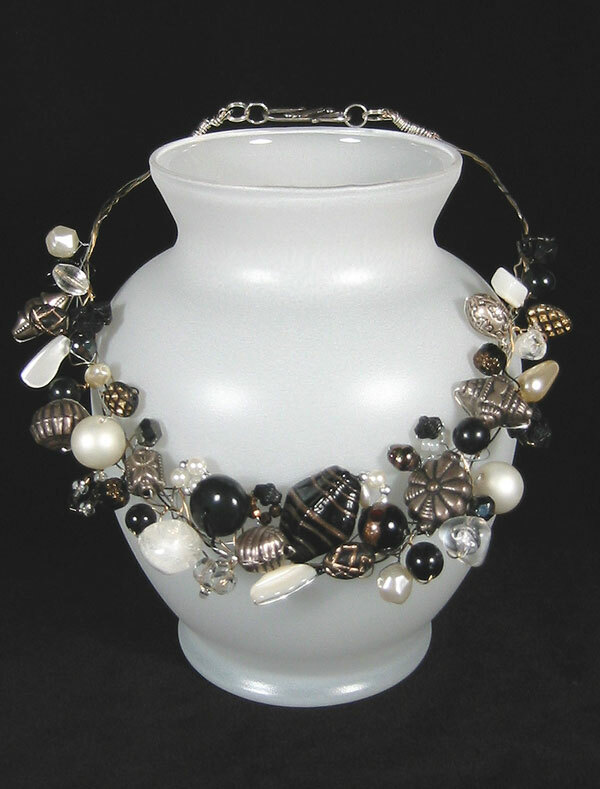 Assorted silver, pearl, glass, crystal, Lucite beads (mostly vintage). Mother of Pearl shapes (3). Fire polished faceted crystal oval. Beads are described to the best of my knowledge and according to info given to me upon purchasing.